Is the “Invisible Hand of the market” actually a very carefully … … … HIDDEN HAND? “The PRE-PLANNED Financial and Economic 9/11 of 2008”, as well as the other various market collapses and monetary meltdowns since then, reveal the true state of the US national economy, international finance and global economic picture. In fact, the true state of every market – real estate, equity, bond, commodities, currency, derivative, etc. has been in shambles for many years, just waiting for the Perfect Storm to come around and blow it all away. It has been obvious to many that each of these markets have operated according to the whim of a very few individuals with extremely concentrated power to manipulate. Therefore, all markets can be, and are routinely, artificially inflated as we have seen time and time again. Likewise, they can be artificially deflated, sometimes rather quickly for effect, as we have seen. ‘The Invisible Hand‘ of the market is just that – a very carefully HIDDEN HAND that makes a complete and total mockery of virtually every economic and financial theory ever advanced. Time for a lot of us to accept this fact of modern economic life. Perhaps we should now take off our blinders and admit that while, yes, all of the indicators are there, as they have been for quite some time, for a truly catastrophic global economic meltdown and financial cataclysm, these events are still to a great extent controllable. All of us have seen bubble after bubble grow and balloon, and merge and overlap, and inextricably interpenetrate each other, until all we have is one massive bubble ready to pop. But, when will it pop?! It will pop when the confidence level is sufficiently undermined by the very same MEDIA that controls the flow of the relevant information. And who, pray tell, controls the media, if not ‘The Invisible Hand‘? Clearly, the real Market Oracles are not a part of the system of mainstream media (MSM) which are held firmly within the grip of the Global Control Matrix. Therefore, it is incumbent upon each Oracle to get it right, since they now function as the most reliable sources of pertinent financial information and economic data available. The inevitability of self-destructive corporate capitalism does not preclude the coordinated process of a tightly controlled demolition of markets and economies. Neither does it preclude the flagrant stock market manipulations, blatant commodity price-fixing (including the delivery of counterfeit precious metals) and too numerous to count, deliberately falsified financial reports/economic forecasts that have become the norm since the “Crash of 2008”. Remember their modus operandi: create problem – provoke reaction – impose solution. The current controlled demolition of various markets, national economies and regional economic unions has employed the same divide and conquer tactics that every war economy has utilized since time immemorial. Hence, we are witnessing the to be expected widespread panic, paralyzing chaos and wildly unpredictable market reactions that this antiquated stratagem has always produced. The snake eating itself has been a frequent metaphor to the current self destruction of Cowboy Capitalism. Whereas the system of corrupt, corporate, crony capitalism does eat itself, there are those who will be eaten, and those who eat. The “strong” at the top of the pyramid have always done the eating, as the “weak” at the bottom provide the bone for the stew. We are all watching this survival of the fittest program in living color, as we both write and read these words, are we not? The only major difference at this particular, and final, feast is that the internet has allowed for an unprecedented explosion of true and accurate information in real time. Therefore, the playing field has been leveled like never before. 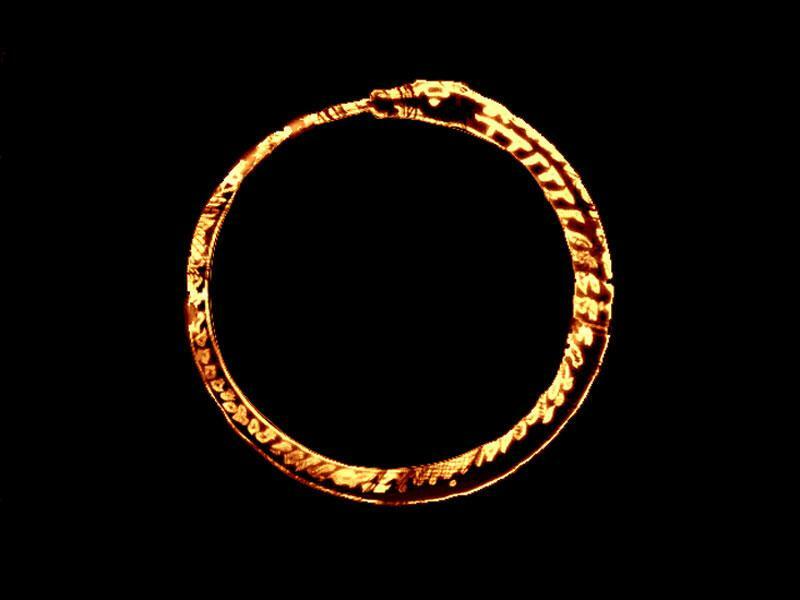 The little guy or gal, for the first time ever, has the opportunity to take back a little, or a lot, of his or her power (read wealth), should he or she so choose. Even as the Wall Street gangs team up with the opportunistic political class, as well as the numerous corporate raiders, legal jackals and lobby parasites, to effectuate the most massive redistribution of wealth (aka in your face THEFT) in recorded history, something has profoundly and fundamentally changed. There is a dynamic at work which can alter the game just enough to potentially turn the pyramid upside down. Accomplishing this, however, requires a no nonsense, “look in the mirror with raw honesty” approach. In this instance, the Oracles will not deign to render investment advice, financial recommendations, business consultation or simple suggestions on money matters that are not fully baked. Recommendations made in this spirit are more likely to be issued in the best interest of ALL, especially for those who are in a position of class disadvantage, financial ignorance or structured powerlessness. So, it should now be clear that all the forces have been put into place for the upcoming monetary meltdown. But even these forces are controlled, each and every one of them, all the way up to the top. It’s probably a very good time to contemplate just Who It Is that resides at the peak of the global financial decision-making process. As well as, their agenda?!? HINT: Let’s get serious for a moment. Most of us know by now that the Crash of ’29, as well as the Great Depression that followed, were the main events of an intricately engineered financial and economic armageddon calculated as a necessary prelude to the real Armageddon known as WWII. Historically speaking, a man without a job, or prospects for employment in his homeland, is much more likely to hire himself out to his guvment as a mercenary fighting in a foreign land. Hasn’t this been their (TPTW)* formula for both war and wealth creation for eons?! Although it has always worked like a charm, wethinks the charm has finally worn out. 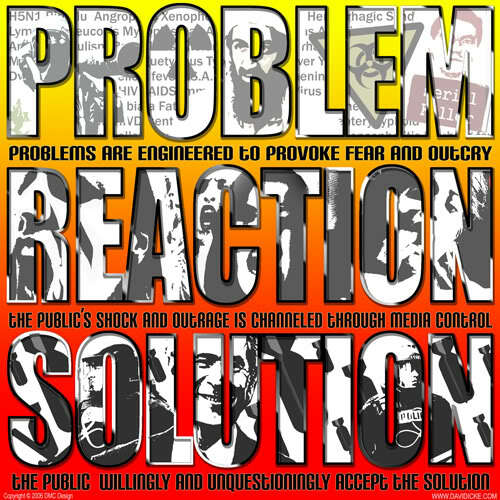 Yes, that old fashioned Hegelian dialectic based ‘problem – reaction – solution’ MO has seen its final days. We also think their misbegotten plan to foist WWIII upon us has somehow been thwarted by the real TPTB. Yes, they’ve finally been snoockered!